Duncan, you look good in red, but just like everyone else did they have to cut your ears off? 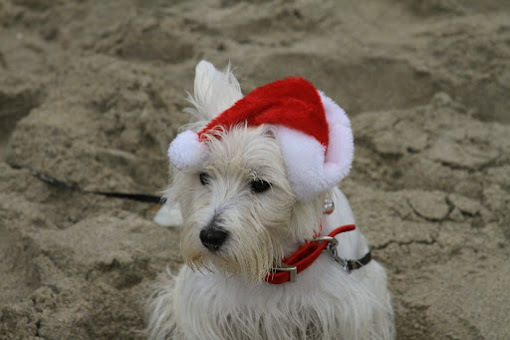 Pretty impressive Duncan, looking cool in a Santa hat! Who are you staring at? You look like you're going to do some damage when you get that hat off! You are definitely ready for Santa, Duncan! It's not long now! Way to be Christmas Duncan! You are what Christmas is all about!!!! Love this picture! Aww! You are too cute! I'm glad we stumbled upon your blog!